HBO said Wednesday night that it was investigating the hacking of several of the cable channel's Twitter accounts, which came as the company is trying to figure out how episodes of its megahit series "Game of Thrones" and other materials were leaked online. 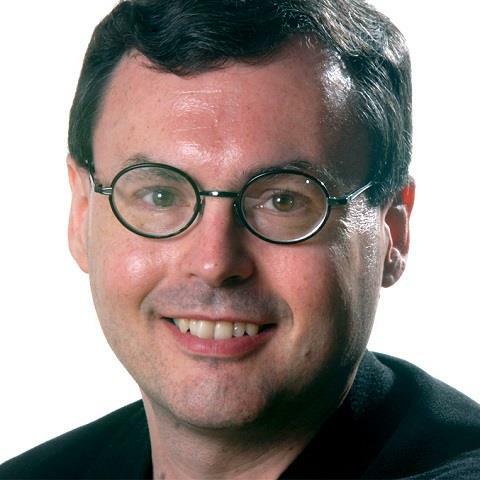 The accounts of several HBO series, including "Last Week Tonight with John Oliver," "True Blood," "Veep" and "Vinyl," tweeted a message Wednesday night purporting to be from the notorious OurMine hackers. It appeared that only U.S.-based accounts were affected — @HBOUK and @HBOCanada appeared to emerge unscathed, for example. HBO told NBC News late Wednesday only that "we are investigating." OurMine, sometimes called OurMine Team, has been blamed for taking over social media and other online accounts of several prominent people and institutions in the last 2½ years or so, including those of Google Chief Executive Sundar Pichai, Facebook Chief Executive Mark Zuckerberg, Wikipedia co-founder Jimmy Wales, BuzzFeed and TechCrunch. Many of the messages mirrored those that were posted Wednesday night. 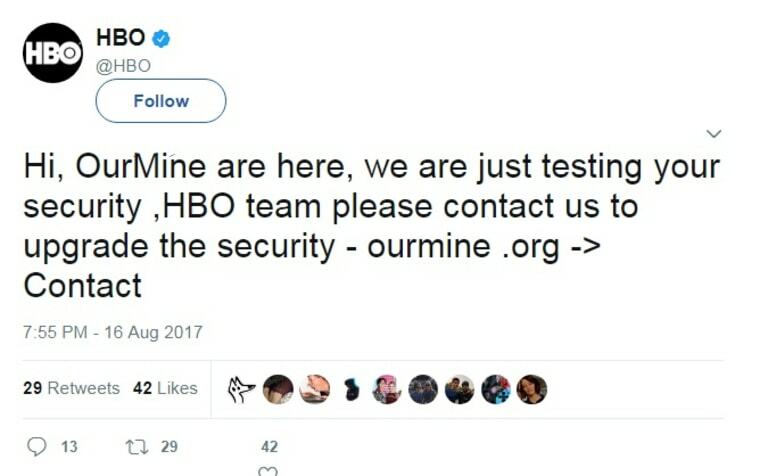 OurMine is anonymous, and it couldn't be determined Wednesday night whether it was, in fact, behind the HBO hack. In all of Wednesday night's tweets, the name "OurMine" was rendered with faint accent marks — as "Our⁻Mi⁻ne," not "OurMine" — a construction that the hackers aren't known to have used before. HBO said it didn't have enough information to discuss that. In October 2016, BuzzFeed posted a story linking OurMine Team to a teenage Saudi hacker. BuzzFeed was hacked the next day, with an article appearing on the site apparently posted by OurMine.